School should be a part of the community, and community should be a part of the school. In fact, the whole purpose for education has arisen completely out of a need from the greater community. In order for a community to survive and thrive, educating its future citizens is of utmost importance. But somehow, education has turned into a segmented good, something mass manufactured and prepackaged, only to be delivered within the confines of the four walls of a school. So how does one solve this problem? How does one make it so this reality is no longer so? You go out into the community. That’s how. And this doesn’t sound as impossible as one would think. In fact, it’s way easier. 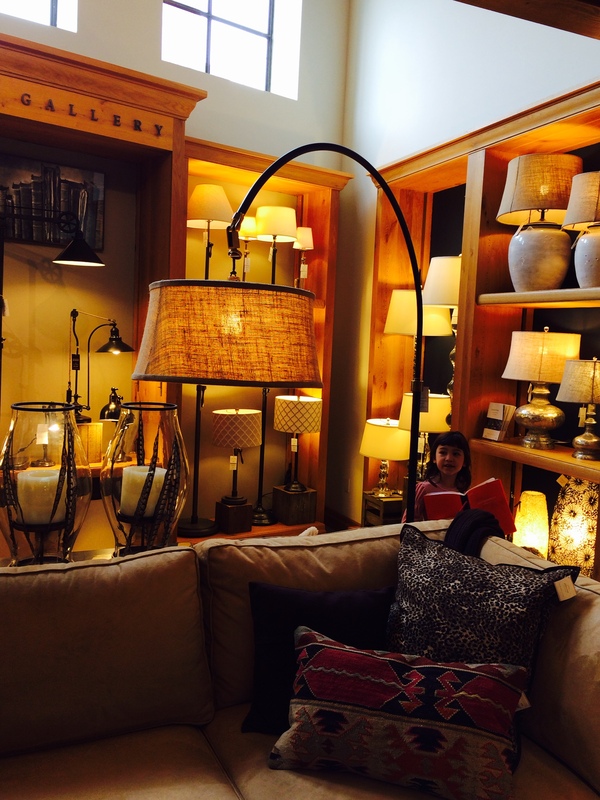 Yesterday, my class went to Pottery Barn. Yup, you heard it right, the Pottery Barn. Best and most free field trip ever. Why you ask? To be inspired by the beautiful furniture and home decorations so that we may design our classroom. 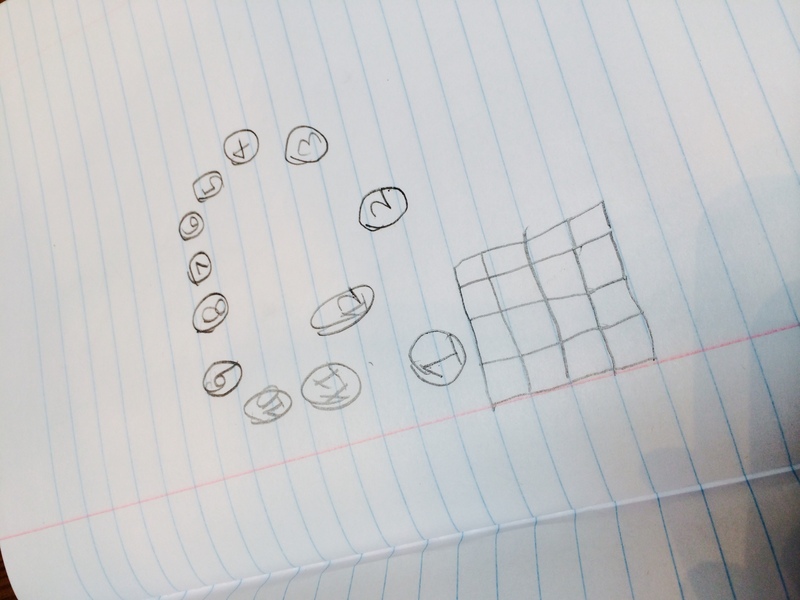 Students bustled around with iPads and notebooks, taking pictures and sketching images of cabinets, chairs, and desks, bursting with ideas for classroom items. 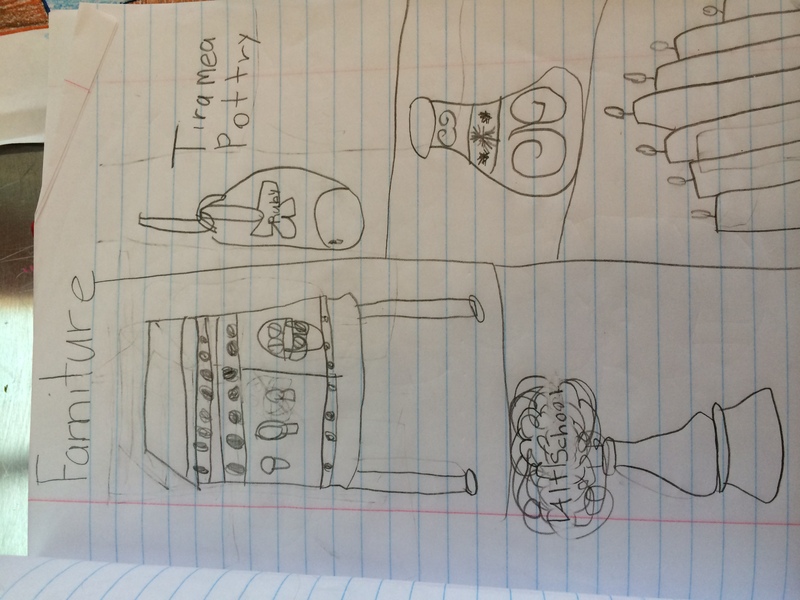 We looked for shapes, uses for practical objects like lamps and pottery, and of course, beauty, so that our classroom may be a structured, practical, and beautiful place. Check out some of their sketches below. This guy recognized rectangles in the cabinets. This student noticed a hanging lamp he thought could help our reading area. 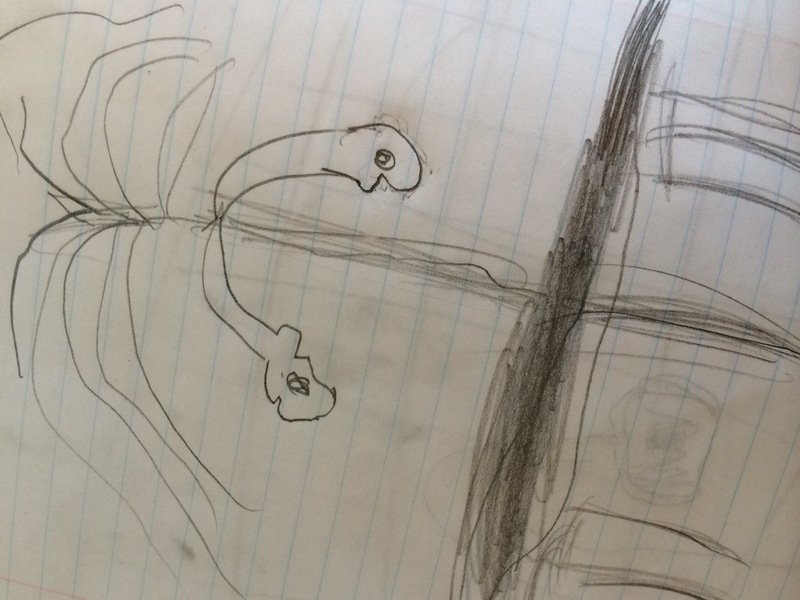 This student was especially concerned with beauty in our classroom. Teachers fantasize over making learning truly real world, but they tend to leave out the most important component of the real world, and that is, well, the real world. In fact, the word “real world” has become so much of a buzzword that it’s become all too easy to forget what the term actually means. But when it comes down to actually honoring the idea of “real world experiences,” we cannot expect to fulfill this manifest within the four walls of the classroom. The ability to learn resides within a student’s ability to see himself or herself within the curriculum. Moreover, the manifest of becoming a lifelong learner can only truly be achieved if a child can see himself or herself in the greater world. By going out into the community, and by giving students truly “real-world” experiences, we can help to empower kids to be resourceful and use the community as a place of constant growth and learning. And to think… it’s as simple as going to Pottery Barn. hahaha did the last kid draw one of those million dollar vintage-look alike stoves!? or maybe it’s just a table? We have a child in the Lower Elementary Alamo Square Alt School in the Visiting Scholars program. Hope to meet some day! I’d love to meet you too! Isn’t AltSchool the best? It’s been a dream as a teacher.